Lawyers should, and typically do, evaluate the merits of their clients' claims before recommending to file a lawsuit. But not all lawyers conduct a pre-litigation analysis of what will happen after the hopeful big win. This can lead to potential problems, as the following scenario demonstrates. Picture this. You knew the case was a winner the moment you first reviewed your client's documents. You did an excellent job at trial. Your witnesses were compelling and you nailed your closing argument. You just received notice that the jury has finished deliberations, and is ready to render a verdict. Your excitement mounts as the jury foreman reads the sweet sounds of millions of dollars awarded to your client on your client's claims for economic losses arising from a breach of contract. Enjoy that moment. Go ahead and splurge on the celebration. Because the days that follow may be a real downer for you and your client. Why? Because you sued on claims not covered by insurance and, after fighting the lawsuit, the defendant barely has the assets to pay the expense of enforcing the judgment, much less the judgment itself. Now your client is very upset that it has spent a fortune on legal fees to get a favorable verdict, but it has nothing to show for it. How can you potentially avoid this bittersweet and sour result? Here are a few suggestions. First, before you file a lawsuit, ask the client for permission to conduct an asset search on the potential defendant, from sources available to the public (such as real property records, UCC filings, DMV records, lawsuits, and judgments). What you learn from this due diligence may play a role in how you manage the case, including whether your client decides to sue and, if so, where you decide to sue. Second, as you discuss with your client the assets found, you can explain what steps are necessary to collect the judgment from those assets. For example, if there is a real property asset, consider if there are prior encumbrances on the property and, if so, what might happen if you executed on a junior judgment lien. If the potential defendant has personal property assets, consider where those assets are located, whether other parties have potential interests in the assets, and the logistics involved in executing on them. Comparing these costs to the expected value of the non-exempt equity in the assets, will allow you to better conduct the cost-benefit analysis. Third, consider whether there are any valid claims that may be covered by an insurance policy, such that insurance money may be available to pay any potential judgment or settlement of the claim. Fourth, if you determine the claim is not substantially collectible, consider resolutions in alternative to suing. Perhaps the parties can resolve the dispute quicker and more economically through pre-litigation mediation or another alternative dispute resolution process. For example, in a dispute over the balance due on a business account, the parties may agree to jointly use a neutral forensic accountant to decide the balance due. The goal with one of these alternative dispute resolution options is to achieve a relatively quick resolution and save your client the attorney fees, expert fees, and all of other fees and costs that would otherwise be spent on litigation. It also could maximize the opponent's funds available to pay the claim, before it spends the funds on defending a lawsuit. The economic realities of litigation and judgment enforcement can certainly be disappointing to a party that has a valid claim (or defense). Waiting until after the client has spent tens or hundreds of thousands of dollars on your legal fees to receive nothing more than an electronic document (the modern judgment) that cannot be redeemed for payment can cause client relations issues. Addressing the issue at the front end typically helps set your client's expectations, and may lead to a better result. 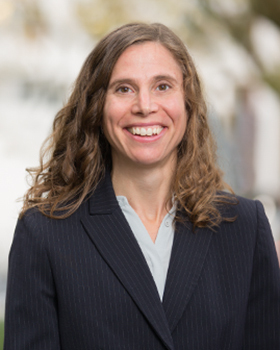 Laurie R. Hager is a commercial litigator at Sussman Shank LLP. This article is not intended as legal advice. If you want to discuss any of the issues in this article, feel free to call Laurie at 503-227-1111 or email her at lhager@sussmanshank.com.